Madame Tussauds Museum: visit and enjoy! Madame Tussauds is the second biggest Amsterdam’s museum. Its collection of wax figures includes celebrities, icons and world leaders. George Clooney or David Beckham, Princess Diana or Beyonce – who would you like to meet? They are all there! We highly recommend you to order you tickets online. After the purchase, do not need to print your ticket. You can simply present it at the entrance on your mobile device. How to avoid waiting lines at the entrance to museum? 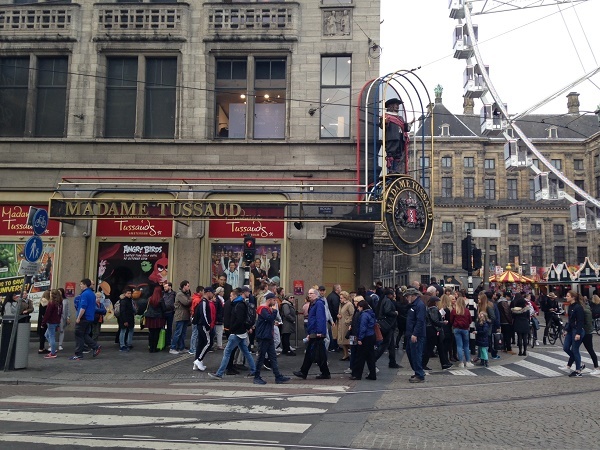 Madame Tussauds Museum in Amsterdam is known for its queues at the entrance. During the peak season the visitors might have to wait for more than 20 minutes. However, if you buy tickets online, you can enter via the VIP Fast Track and skip the line. Click here to buy your tickets to Madame Tussauds Museum. 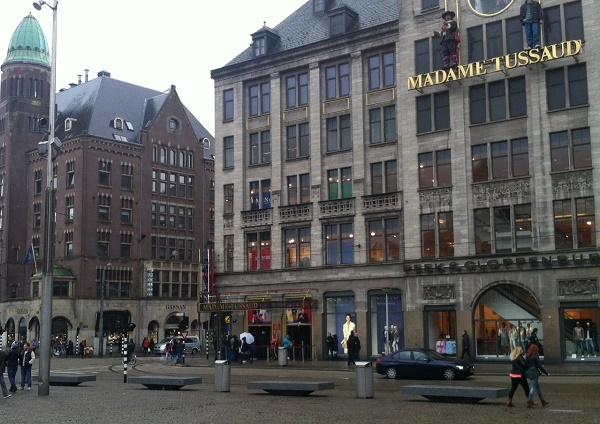 How to get to Madame Tussauds Museum in Amsterdam? tram № 4, 9, 16, 20, 24, 25, stop Bijenkorf/Dam. As a rule, Madame Tussauds Museum in Amsterdam is open daily from 10 am – 7 pm. Last admission is at 6 pm. During busy summer season, from July to end of August it is open from 9 am to 9 pm. However there can be exceptions to general opening times. We recommend you to check museums’s official website when you plan your visit. How long will a visit to Madame Tussauds Amsterdam last? As a rule, it will take you 1:15 hours to see the entire Madame Tussauds’ wax figures exposition. Is it allowed to take photos in Madame Tussauds Museum? Enjoy your visit to Madame Tussauds Museum in Amsterdam!